I must have heard close to a gazillion band names since I discovered music. Most names are not particularly original, merely chosen because they are more or less linked to the type of music the band plays or simply because it sounds tough, threatening or whatever vibe the band is after. Some are a bit more innovative, some are the product of a wicked brain twist and some are plain weird. And then there’s the initials, whether or not embellished, nowadays probably the easiest way to find your band a name that hasn’t already been used more than once. The band name Oh. is exactly that: the initials of founder, sole member, sole contributor, sole producer and multi-instrumentalist Olivia, brace yourself, Hadjiioannau. A band name, I might add, that is a stark contrast to her music. I normally hesitate comparing bands to other bands, simply because I think that comparing in some way devalues the effort and work of said band, but even if I wanted to this time, I simply couldn’t. I’m sure you can come up with more than a handful of bands whose influence is to some extent audible in Olivia’s music, but that does not change the fact she has developed a musical style of her own, which can best be placed in the utmost corner of extreme prog metal. This of course limits her potential audience, because the highly complicated prog she composes is pretty much an acquired taste that is not appreciated by all metal fans. However, the metal fans that do appreciate this will go bananas when they hear this. The six-song mini-album Metallia is not Olivia’s first feat of arms, nor will it be her last. It’s the predecessor of her upcoming and fittingly titled album Prog Unshaven, which is due in the spring of next year. It opens with Red Lion, a song that can be used to determine whether Olivia’s music suits you. Or not. It’s music that has to grow on you, you’re going to need various listening sessions to fully uncover all it has to offer you, but if you don’t like it the first time, it’s unlikely you’re going to like it after a number of tries either. It’s highly energetic, at times fluttering music filled with a torrent of sounds, riffs, drum lines, speed changes and so on. She even utilizes her vocals as instrument rather than to actually sing. I suppose you could be tempted to describe her music as chaos, but in my opinion that would be too superficial. Instead a highly controlled, carefully composed chaos that displays both Olivia’s musical and composing talents would be more accurate. And that she is hugely talented is unquestionable. Regardless the type, every single instrument she picks up produces the exact sound she wants it to, the one augmenting the other in her complicated, thought out songs. Not only can the aforementioned opener Red Lion be seen as a test if this music will suit your needs, it also functions as a blueprint for the other songs on Metallia. Not that all songs sound alike, on the contrary even, but like all other songs it has a base structure that consists of a more or less fixed, repeating, highly metal-influenced rhythm around which the flurry of twist and turns evolves into the actual song. And that is about as close as I get to accurately describe the songs, you really should listen to this to judge for yourself. Perhaps I can hand you one more clue that might help you decide whether you have the guts to try this. Try to imagine being in a raft floating down an untamed river. You’ll be thrashed around one minute and be flowing mellowly along the stream the next. That is pretty much what this is: a musical raft ride down an untamed river. As far as my personal opinion: I can appreciate the music and the talent, but it’s not something I’d play every single day. If you’re looking for peace of mind or background music to a candlelight dinner, I’d strongly advise you to leave this one in its jewel case, but if you’re looking for an unpredictable musical adventure this might be exactly what you’re after. You know what, just try it and hear for yourself. 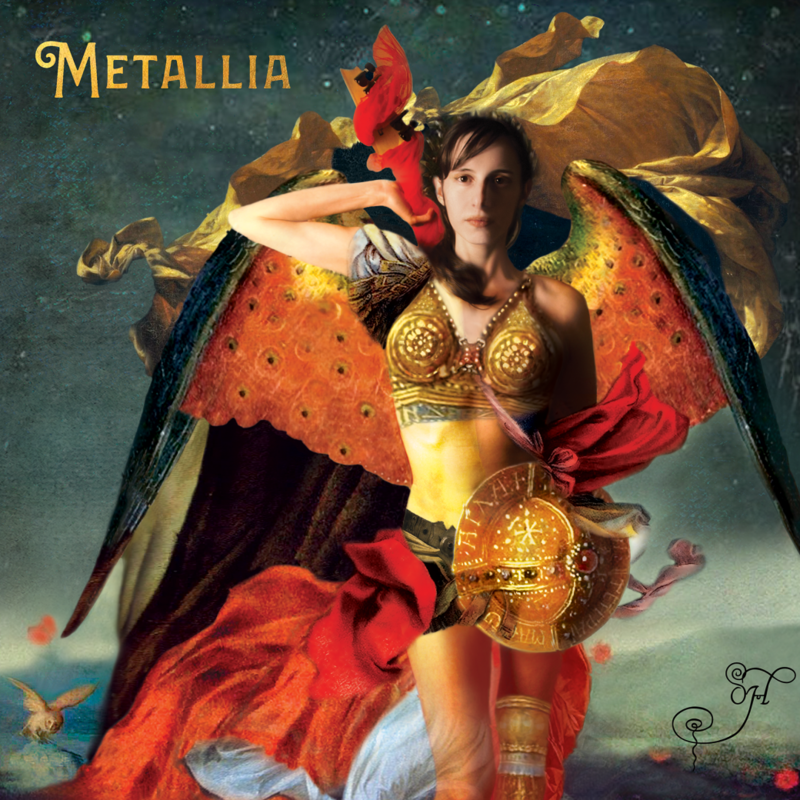 Pingback: Review of Oh.’s “Metallia” by Henric van Essen on Dutch Metal Maniac — Oh.